At Downing Mountain Lodge and Backcountryfocus, we are pleased to be able to offer a Montana backcountry ski guide service now at the Downing Mountain Lodge as well as at other locations throughout the Bitterroot National Forest. Signed in late February 2013, our special use permit for backcountry ski guiding, allows us to lead guests at our premier lodge destination at Downing Mountain. For both the new to backcountry skiing and for those with plenty of experience, hiring a guide can maximize your enjoyment of your backcountry ski adventure by tapping into the years of research and exploration that John Lehrman has put into learning about the Bitterroot Range and backcountry skiing here in the mountains of Montana. With reasonable rates of $250 for up to 4 people and $500 for 5-8 people, you will not find a better value for your backcountry ski guided vacation anywhere. John Lehrman has twenty five years of backcountry skiing experience, twenty years experience in the Bitterroots, is a PSIA nordic level two backcountry ski guide, Wilderness First Responder, and is trained to level three with the American Avalanche Institute in Jackson Wyoming. You won’t find a more patient and dedicated trip leader able to work with many abilities to make for a successful backountry ski outing. Of course having guided groups of similar ability will make the guided backcountry ski trip more enjoyable for the guests. 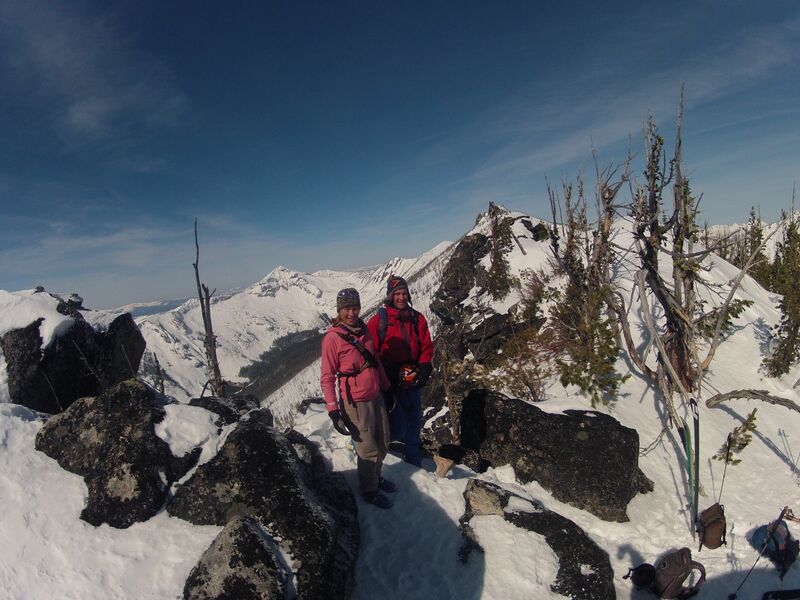 Operating from late November through May backcountry ski guided trips will be focused primarily at Downing Mountain, Gash Point, Camas Peak, Sky Pilot, Little Rock Creek, and Little St Joseph Peak in the heart of the Bitterroot Range. Please call 406-531-1486 or email downingmountain@gmail.com for more information or to book you guided backcountry ski adventure in Western Montana’s Bitterroot Range.